Welcome to ECA’s Professional Year! If you choose to study with us, you will be considering one of the most experienced providers in the market. We believe in quality education for our students, and we have years of experience and success in producing highly employable graduates. Our professional year program gives overseas students a pathway from university to professional employment in Australia. Many of our ECA Professional Year graduates have gone directly into a full-time job within highly reputable companies in Australia. 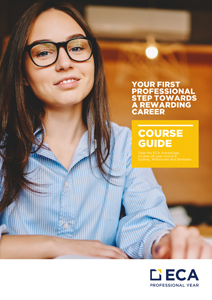 The bridge between academic studies and a successful career in the Australian workforce. One of the most experienced providers in the market with a proven success rate of producing highly employable graduates. Convenient centralised locations in three of Australia’s largest cities boasting modern facilities and excellent student services. Partnering with a range of host companies to offer students internships which often lead to industry-based employment. Supportive staffs are here to assist students to find suitable and rewarding internship placements. Free professional development workshops as well as free English support classes. Weekday and weekend classes available with a range of flexible payment options.